A very beautiful and colorful sights dominate the window display of Hermes at Galleria Grand Hyatt, Jakarta. 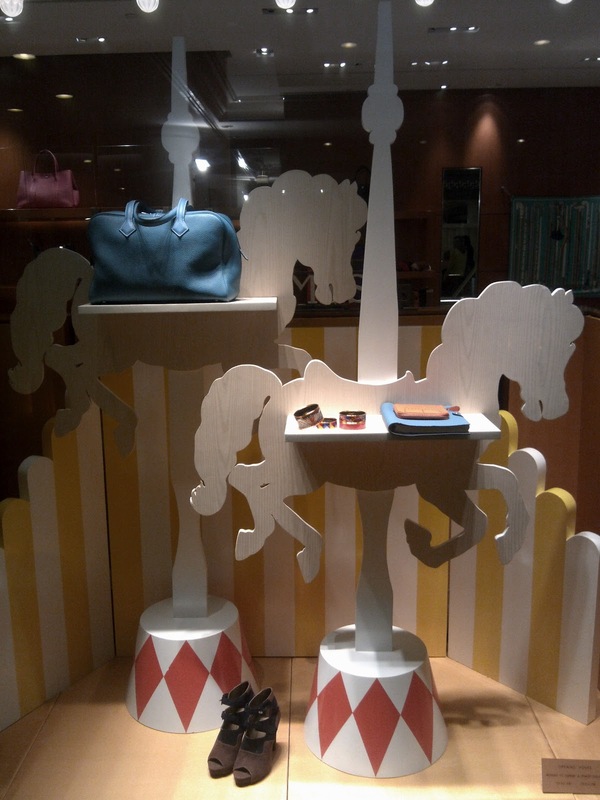 Now, the concept of the window display is about a carrousel or merry-go-round. On the women window, two cute horses 'jumping' in and out while carrying some accessories and a hand bag. 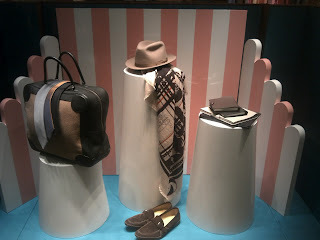 Sadly, men window does not have any thing, perhaps the carousel is too feminine for a masculine look of the window, except the fabulous bag that I want so much. 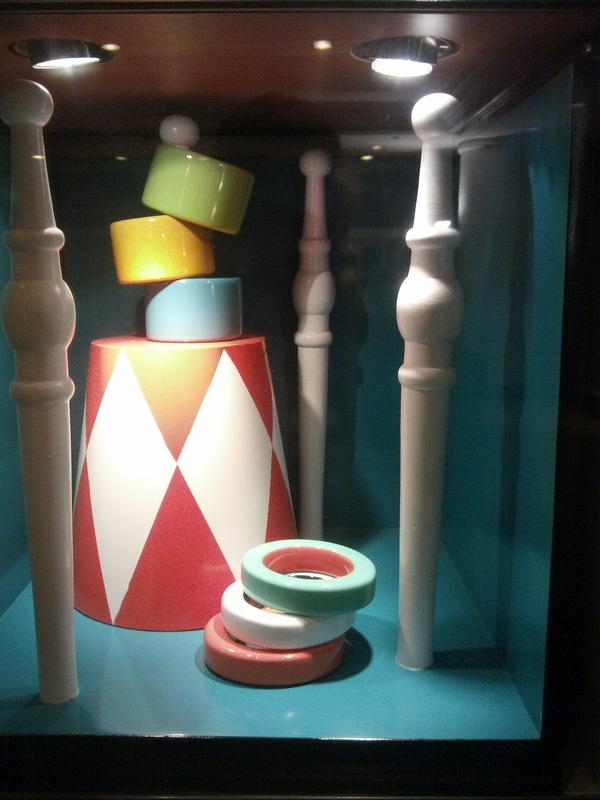 The four little windows are decorated with twisted pillars of the carrousel. 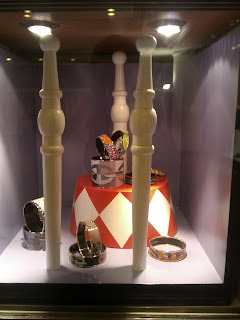 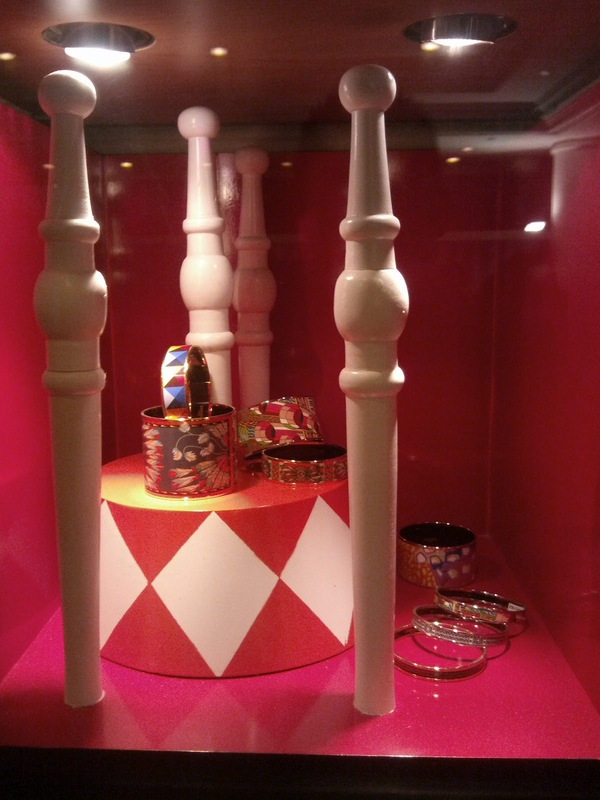 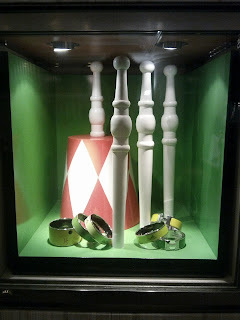 Each window has different background color and Hermes bracelets, cuffs, and bangles are laying there beautifully.